LOS ANGELES, CA, UNITED STATES, February 25, 2019 /EINPresswire.com/ -- Brett Vance, test pilot and host of Jet Jockeys, wins Best of Los Angeles Award- “Best Docu-Reality Series - 2019”, according to Aurora DeRose, award coordinator for the Best of Los Angeles Award community. “The mission of the community is to celebrate the best of Los Angeles, and allow its community members to connect with other members who share the highest standards of quality and integrity,” expresses DeRose. "We're honored to include Brett Vance of Jet Jockeys into our BoLAA family." A man of many talents, Brett Vance started his military aviator life as a T-38 Instructor Pilot after graduating from the Air Force Academy, and then went on a few years later to fly the A-10 on a three-year assignment at RAF Bentwaters, England. About a third of his time there was spent on the European continent supporting NATO operations, but after five years of operational Warthog flying and almost as many years before that in the training command, it was time for him to join the flight test business. He graduated from USAF Test Pilot School and was immediately assigned to the F-16 Test Squadron at Edwards Air Force Base in the high desert of California. In those fast-paced years, he flew a variety of weapons development programs, engine tests, new F-16 avionics upgrades, and several classified programs. After a stint at the Pentagon in Special Programs and Legislative Liaison, he returned to Edwards as Deputy Commandant of the Test Pilot School; and for his final tour on active duty, he reported to Hill Air Force Base in Utah to command the 514th Flight Test Squadron. He retired from the military until the events of 9/11, when he rejoined the game as Chief of Training for the Test Pilot School, flying the F-16, T-38, King-Air, and all the gliders. Opportunity knocked again, and he left the school to fly with the Federal Aviation Administration as a test pilot, instructor, and evaluator. There he saw firsthand the wide variety of the latest technology the aviation industry has to offer. At any one time, he’s been the test pilot on over 100 projects! 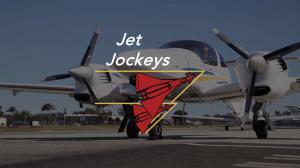 Now, Vance hosts Jet Jockeys, a docu-reality series, where he does for aviation enthusiasts what Mike Rowe of Dirty Jobs has done for the dignity of the trades; what Neil de Grasse Tyson of Cosmos has done for our sense of wonder about our universe; and what The Robertson Family of Duck Dynasty has done for family. The show has been described as being both educational and inspirational.